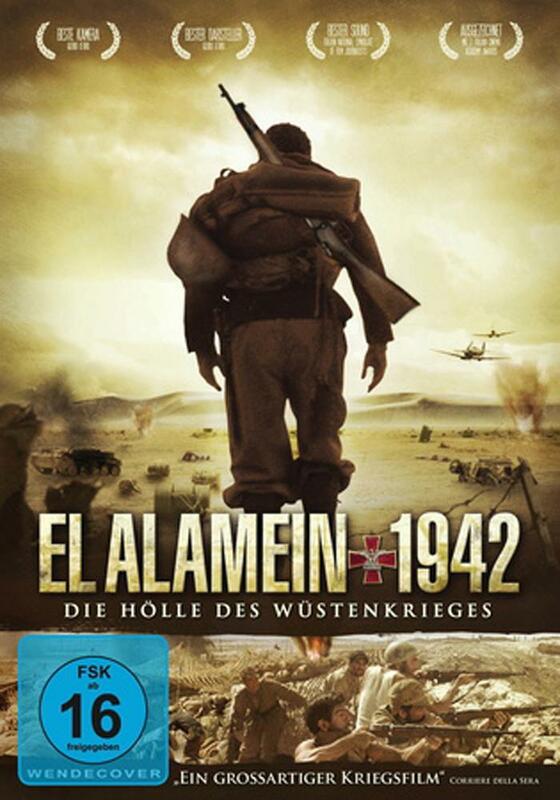 This entry was posted in Africa, History, Movie, Reviews, Trailer, War Movie, WWII and tagged Africa, El Alamein - The Line of Fire, El Alamein La linea del fuoco, History, Movie, Review, War Movie, WWII. Great review. Really makes me want to watch it. Surprisingly, it is available from Netflix! It would certainly be the first movie I have seen about the WWII Italian army. It sounds a little like the Israeli movie Beaufort. What do you think? No, very different from Beaufort. Beaufort was a bit artificial, this is very true to life, I looking forward to what you’ll think of it. This is a great movie. I was actually made to watch this one in an Italian history class. I thought it was a pleasant surprise. I find it good to include movies like that as a history lesson. Thanks for the nice review. It’s an interesting movie. I enjoyed the “phoney war” atmosphere very much, including some clever touches like the soldiers using superstition to make “sense” out of death with the “three miracles” theory. However, the retreat is very low-key; in comparison, one might want to watch Ichikawa’s Nobi (Fires on the Plain) for a truly moving account of how desperate the situation of defeated, abandoned soldiers can be. Overall, I found the film to be too gentle: at first, the characters are endearing, but they play “nice guys” until the end, actually there are only nice guys. I don’t deny such a situation can occur, even in dire circumstances, but frankly it would be an exception. The colonial history of Italy is absent (as if the Italian armed forces hadn’t occupied Libya for decades), as well as the mark of fascism (surely, the shepherd could have avoided the turmoil, but the university student couldn’t). Let’s put it like that, it’s relatively patriotic, that’s for sure but I overall liked it, it really felt at times more like a symbolic movie than an actualy war movie, still I liked it exactly because it was so quiet. I think it works well as an anti-war film. The fact that we completely forget that they were fighting on the wrong side shows it’s tendentious. On the other hand I suppose a huge portion of the Italian population would have preferred to not be on the Germans’s side. I completely agree on the anti-war intent and the symbolic perspective. There’s very little History here. But in my view it doesn’t depend on people being on the right or wrong side: after all most of them were drafted, and Italian cinema always had a way to deflect this with comedy. It’s just that the story is stripped of its historical context, just as the characters seem devoid of any violent or selfish impulses… from a human psychology viewpoint, that’s quite odd in a situation of war. Yes, that’s true. It has something of fable. I did still find the characters believable though.